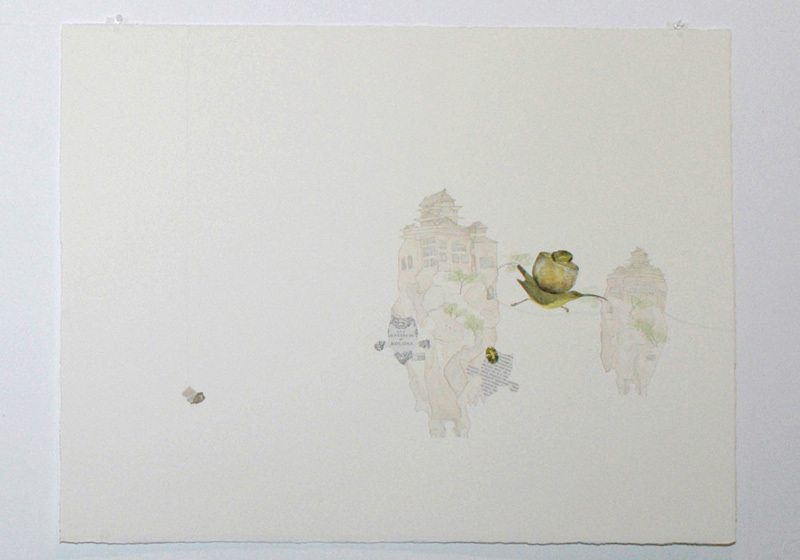 Two collaborative works on paper created especially for <the space in between> book project. <the space in between> book project is an intriguing and thought-provoking exhibition that investigates the nature of books and their place within our ordinary lives. 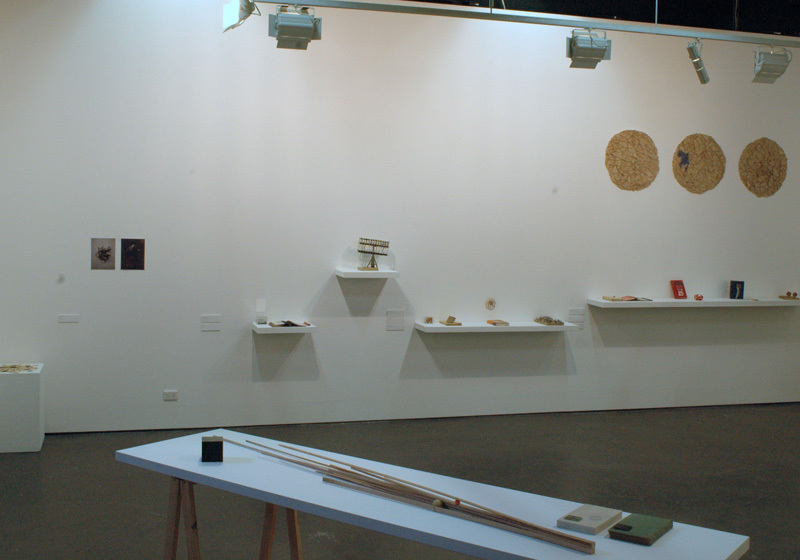 It features work by thirty-two artists from across Australia, who have each responded to the internal space of a book carved and presented to them for their artistic intervention. Curator and collaborator Tara Gilbee has spent many months collecting dozens of books, in English and foreign languages, with colourful and often decorative hard covers and infinite variations of ivory toned pages. With a scalpel and considerable care, she has carved out a section from each book: sometimes guided by the formal structure of an embossed surface, at other times led by the layout of title and text on each cover. The participating artists were presented two objects — the remnants of the book with its empty cavity, and the detachable core — with which to create a work for <the space in between> book project. The end results on exhibition represent a vast array of responses, including sculptural work, installations, and even drawn and photographic reworkings of the original volumes.